This entry was posted on August 2, 2016 by sharonwynn, in Uncategorized. Bookmark the permalink. 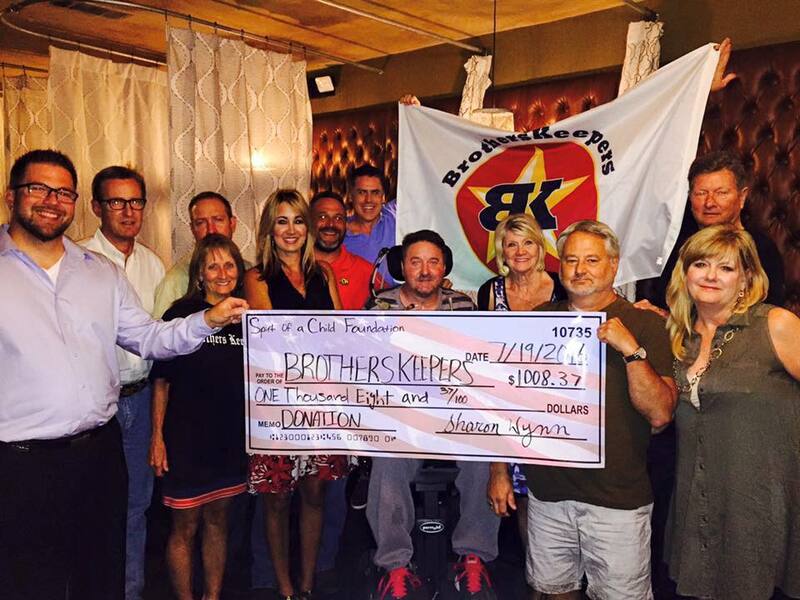 Spirit of a Child Foundation on 7/19/2016 was able to make a $1,008.37 donation to BrothersKeepers who have a mission dedicated to support and empower injured veterans and their families. 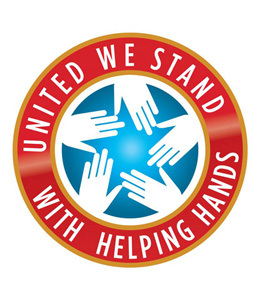 BrothersKeepers represents a brotherhood of men raising funds, awareness, and assistance to efforts that support and empower our wounded warriors and their families. Jack is a father, son, and to us a brother and great friend. Since medically retiring from a career that placed him in one of the most elite units in the military as an Air Force Special Operations Combat Controller, Jack Fanning has lived an active life as a disabled veteran quadriplegic and is a Brotherskeepers. Jack has an 11 year old son named Brock who is active in soccer following in his fathers footsteps and has a wonderful ex-wife Melynn that is always there for him. There are numerous family members, friends, and great caregivers that look after and care for Jack on a daily basis. Jack is very grateful to have such great help so he can live the best life possible as a quadriplegic. Jack joined the Air Force in 1997 and completed a pipeline of vigorous schools, including Combat Dive School, Air Traffic Control School, Airborne and Military Freefall School, Survival School, and Combat Control School. Assigned to the 23rd Special Tactics Squadron, Hurlburt Field AFB, Florida, he did several deployments to South America prior to 9-11. Post 9-11 he deployed to Afghanistan in support of Operation Enduring Freedom on five different occasions and to Iraq in support of Operation Iraqi Freedom once. In 2005, Jack became a Combat Control Course Tactics Instructor at Pope AFB, NC. Jack was one of the most seasoned members of his field. He loved his job and worked incredibly hard to always be among the best of the best. He then joined an elite unit in 2009 and began a vigorous eight-month Operating Training Course. During one of the course exercises on 11 Jan 2010, he parachuted into a blacked-out drop zone with his teammates and sustained a C4 spinal cord injury. Jack was paralyzed from the neck down and underwent immediate surgery to stabilize his cervical spine and had a breathing tube inserted. Currently, he is unable to move from the shoulders down and is considered a C4 incomplete quadriplegic. After transferring to Shepherd Center in Atlanta GA, Jack underwent four months of challenging physical and occupational therapy. During this time, he was weaned off his ventilator and feeding tube, learned how to operate his wheelchair, and conducted family training in order to function as a quadriplegic. Eventually Jack went to the Dallas VA for two more months of recovery and therapy before he finally went to his new home in Texas. Today he conducts therapy two days a week at Fit-N-Wise in Decatur, TX, fighting daily to regain control of the link between mind, nerves, and muscles. His condition has not slowed him down as he still finds ways to shoot, hunt, scuba dive, and even jump out of airplanes. Jack wants to be a role model and great father to his son Brock by showing him his go getter attitude and his never quit mentality. He has a passion of trying to help and honor other veterans, first responders, and their families. Jack is a Brotherskeeper, we love him and honor him with our organization. We will never forget the incredible sacrifices he and many others have made for this great nation. The Spirit of a Child Foundation sincerely thank all those who continue support our amazing organization and for making a difference for families in need! Friday, 4/12/19 @ 7:00pm: Come Paint with Spirit! Saturday, 9/15/18: Cookin’ with Spirit in the Park! 08/01/18 – Lauren S. Walker, LCSW, joins the Spirit of a Child Foundation to Help Their Families Grow Stronger!